Have you ever wanted to get stuck into a bottle of wine on the commute home, but were thwarted by the lack of a glass? Us too, which is why we’re excited about a nifty little gadget that lets you drink wine right from the bottle, with some degree of decorum. 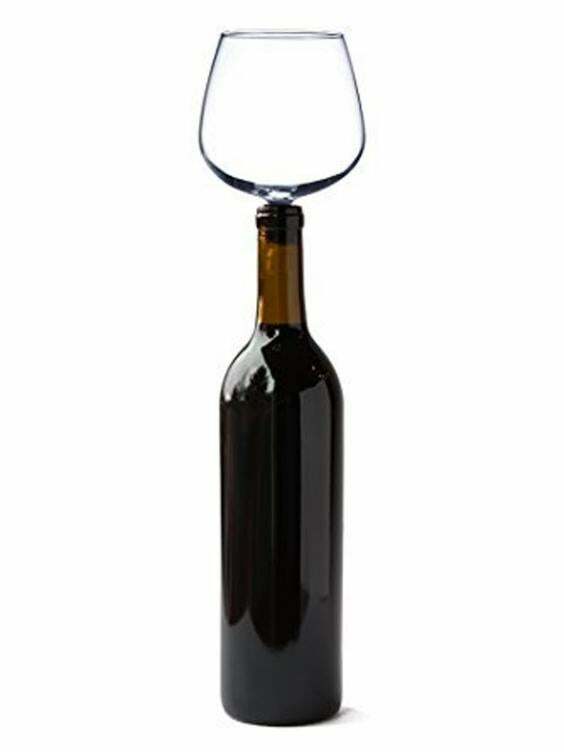 The Guzzle Buddy is an XL wine glass which has a stopper where you would usually find a stem, making spillage harder and drinking even easier. Perfect. Despite its obvious perks, it’s also an incredible novelty gift for every wine lover. Not only is the packaging entertaining – promising to cure your dreaded ‘wine wrist’ – the glass itself is also pretty good quality. It’s made from high quality borosilicate lead free glass and gently aerates the wine as you swill it. Pouring wine is such a chore! No more wasting time pouring or empty glasses. Grab your Guzzle Buddy and follow these three easy steps. Open your favorite bottle of wine. 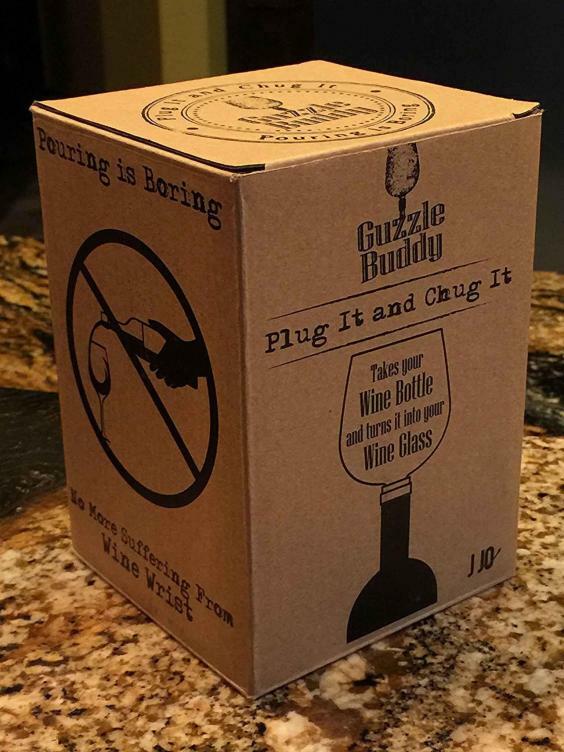 Insert the guzzle buddy by screwing directly into the top of your bottle. 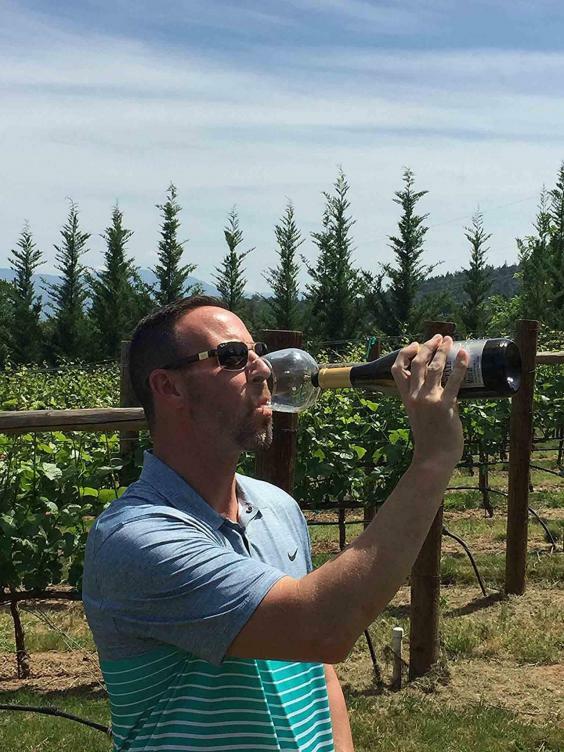 Tilt the bottle and enjoy drinking straight from your wine bottle glass. While the idea of gulping down an entire bottle to yourself might sound tempting, we would never advocate drinking the whole thing at once. After all, that would equate to two thirds or your weekly alcohol intake and one quarter of your daily calorie allowance. Luckily, it doubles up as a stopper too.